Home / Funny Picture: Chess Set — This Is Sparta! 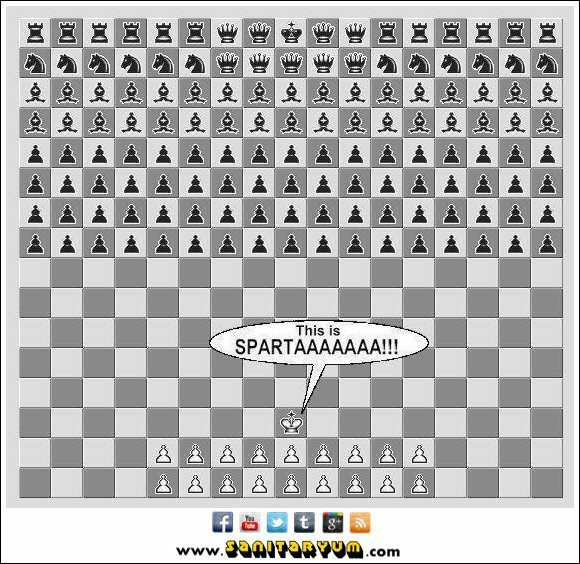 Funny Picture: Chess Set — This Is Sparta! A nice 300 movie reference here haha. Good ol’ Chess Board! This entry was posted	on Thursday, February 9th, 2012 at 2:04 PM	and is filed under Funny. You can follow any responses to this entry through the RSS 2.0 feed. You can leave a response, or trackback from your own site. I think it would be more accurate if all the Spartans were the queen chesspieces since that can destroy everyone.